9 Best iOS Emulators: – Are you fascinated towards the iOS apps and wish you could run them on your Windows PC? Well, that’s normal as there are growing number of online searches on “how to run iOS apps on Windows” or the “best iOS emulators for Windows”. While Android still leads the race in people willing to get the feel of Android apps on their PC, there is also equal number of users looking for iOS emulators to use the iPhone/iPad apps on their PC. However, there are not as many iOS emulators out there compared to Android that has tons of them designed for Windows or Mac OSX. So, if you are already getting disheartened due to the fact that neither do you have enough money to buy an iPhone or an iPad nor can you get your hands on an iOS emulator, we have some good news for you! We have found out some of the best iOS emulators for you that will not only let you run your favorite iOS apps on Windows/Mac, but also allow you to test the iOS application on your PC. But, before we get into the groove let us tell you what an iOS emulator is. It is a type of software program that helps a PC to behave like a “guest” system and enables it to run the apps and software of the guest PC in it. In short, emulators are make-believe arrangements that support functioning of applications belonging to other OS and ensure smooth operation of these apps. They are chiefly made for app developers that help them test the same and other programs. Emulators are cloud based and hence, can run programs from one or more OS like, Mac, Windows, iOS, Android, etc. While there are quite a few uses of emulators, you can use them chiefly for your entertainment such as, playing iOS games or simply to create iOS apps on your PC. Besides, there are several advantages of emulators some of which are like, they are free to use and rendered with SDK with the release of each new OS, they are easy to install, fairly simple to use and fast. We have handpicked the best iOS emulators for you and some of them are even free of cost. So, select any from the list, download and install your most desired iOS games and apps, develop fresh apps and do much more with these iOS emulators. So let’s get going.. If you have seen an iPad user interface you would then definitely relate to iPadian. The GUI of iPadian is same as of an iPad so, when you use it you will get the feel of an actual iPad on your Windows PC. When it comes to iOS simulators iPadian tops the list hands down. 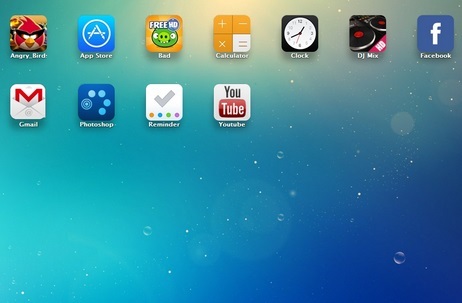 Using this iPad look alike, you can get access to the App Store and download apps seamlessly. If you already have apps installed this iOS simulator will let you enjoy them on your Windows PC too. iPadian is available in both free and paid version, and the free version is equally good to be used for any iOS games and apps from it. Its beautiful GUI, app compatibility, clear indicators and the choice to download apps from the iOS app store makes it the most preferred free iOS emulators in the list. What’s more, as by simply clicking on the screen you get access to the buttons and the touch screen instantly. How to use iPadian to run iOS on your Windows OS? It cannot be any simpler than this as you just need to download the software on your PC, install it and an iPad interface emerges on your screen in Full Screen mode. As mentioned previously, the GUI resembles the iPad hence; the icons are similar as well. Along with the basic apps, you will find a set of pre-installed apps ready to be used like, Facebook, Angry Birds, Clash of Clans, Photoshop and more. The basic apps are the Safari Browser, Clock, App Store, Mail, Calculator, Music, etc. So, when you launch any app on iPadian, it functions exactly like it would on the iPad. You can close the app by clicking on the cross sign on the top right hand corner of the screen after you have used it. To go to the Windows, select the Windows button located at the bottom right of the screen. If you are using the picture gallery or the music player, they may access the media available on your PC. The YouTube and the Safari Browser can easily access your device’s internet connection using the iOS emulator. Whenever you start any app you will see two navigation buttons so that you can switch between the apps effortlessly. Once you are all set with the emulator, you can now install these iOS apps on your PC using this application. Simply browse through the store and install it on the emulator. The only downside we find with iPadian is that it takes a while to get installed, however, the fact that you can launch any of its apps with just the usual double clicks and its simplicity makes it a winner. Chiefly an app developing software, SmartFace helps you to emulate iOS at no cost. It is an iOS emulator for your Windows OS that offers basic functions, enables you to develop unlimited apps and is free of cost. How to use SmartFace to run iOS on your Windows OS? The main aim of this software is to test the iOS applications in several different iOS environments. You have the option to choose to emulate different iPhone and iPad versions such as, iPad mini, iPhone 4, iPhone 5, iPhone 6 and more. In order to be able to emulate the phones, you simply need to go to the option that says “File” and open the App you wish to emulate for iOS. More importantly, you can also develop iOS apps for Windows using SmartFace. You can easily develop an app right from the nascent stage and while you develop you can also test your app by emulating the iOS. Using this program you can add near about anything to your app during the development process like, adding text, images, video, tags, buttons, Map View, Ticker, Scroll View and many other components that are can be easily configured at any given time. Once you have finished developing the Windows app you can emulate or debug it right to the device that is connected to your computer. However, please note that this option is available only for the premium version and not for the free version. What we love about SmartFace is its user interface that is well-designed, uncluttered and is easy to use. Oh! And did we tell you that this program also helps you emulate Android apps with equal efficiency? This software provides support from app development to app testing and hence is vast and versatile. If you simply want an alternative to the App.io there could be no better choice than the Appetize.io. this software enables you to develop iOS and Android apps on your cloud storage device. It’s got more for you in store with its free live iOS demo which can be accessed by everyone to have a complete look into the Phone models (4/5/6) along with Google Nexus 5. How to use Appetize.io to run iOS on your Wndows OS? But since, it’s a demo you will obviously not be able to install any applications on the emulated device during the demo. So, if you want to test a specific .ipa or an iOS app you can use the upload option located on the Appetize.io webpage, simply upload the app and there you go! Your iOS app gets emulated and the link is emailed to you. Even though you may find tests on certain iPhone models a bit slow, but you eventually get the complete round up of the iOS. So, if you are really desperate to get the feel of iPhone iOS on your PC, Appetize.io can be the right solution. AIR iPhone creates a virtual iPhone on your Windows so well that it looks like the real one. It is a free emulator for your Windows PC that functions with the support of Adobe AIR framework. As soon as you launch this software, it opens up its user interface that looks exactly like that of an iPhone. There are pre-installed apps on this emulated iOS which you can access, however, not all apps may function due to the hardware configuration required. The apps like, Mail, Weather, Settings, Music, Web etc. can be accessed. How to use AIR iPhone to run iOS on your Windows OS? If you wish to see the iOS emulator in the horizontal mode, you can simply choose the orientation arrow located at the top right corner of the user interface. Click it again and you can view it in the vertical mode. If you have seen the home button on an iPhone, you would know that the home button on the iOS emulator is identical and it functions the same way. To look at the iOS version you can simply click open the “i” button. AIR iPhone is not used for testing purpose of apps, but simply gives you the feel of an iPhone on your computer and it does it well. Neither can you run a new app on this iOS emulator; however, the iPhone experience is really appreciable. Remember, that Adobe AIR needs to be downloaded and installed for the successful functioning of AIR iPhone on your Windows device. 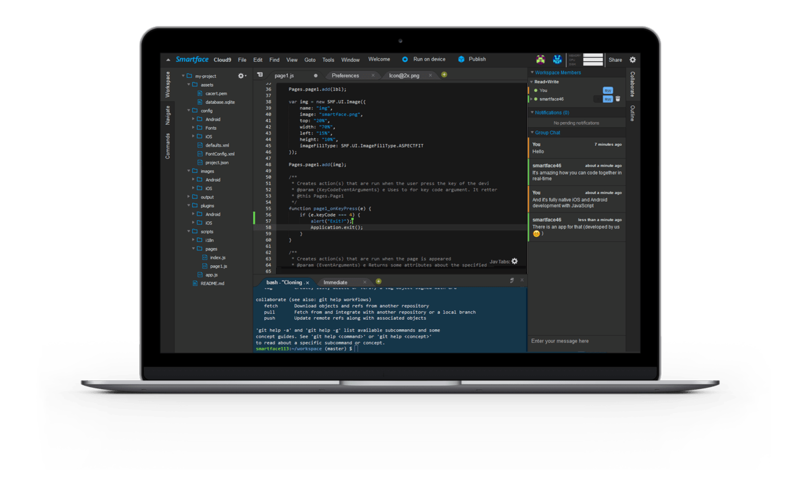 Xamarin Testflight in association with Apple offers you a platform to emulate iOS apps and test them on Windows device. It is the chief way to beta test your Xamarin.iOS apps. It is available to use only via the iTunes Connect. It lets you beta test your iOS apps for both external and internal users and makes sure that the final review has a much easier process while you publish it into the App Store.What’s to be noted here is that TestFlight test apps only that are above OS 8.0. How to use Xamarine TestFlight to run iOS on your Windows OS? Now create an “App Store Distribution Profile” with the new beta rights to begin testing. Create iTunes Connect Record for new apps => Archive and publish your app to the iTunes connect => Manage beta testing by adding Metadata, Internal Users (Max 25), External Users (Max 2000), receive feedback, take action and get back to archiving and publishing the app. To create an iTunes Connect record you need to login to the iTunes Connect Portal with the help of the Apple developer login id=> choose “My Apps”=> now click on the + button at top right hand corner of the UI to add a fresh app=> the submission window will confirm the “New iOS App” addition. To upload new developments you need to create your final distributable in the IDE and then surrender your app to the Apple store using the application loader or via the Archive option in Xcode. You can then proceed to the beta testing which is an elaborate and is explained beautifully on the app website. So get Xamarin TestFlight today to emulate and test your iOS apps on Windows. MobiOne Studio is a versatile software that not only helps you to emulate iOS apps, but also goes a step ahead by allowing you to develop apps just like you would do in Android SDK. In other words it is an iOS emulator along with being an iPhone simulator for Windows that helps develop multi-platform mobile phone apps for both Android and iOS platforms. Even though it is not available for free of cost, the trial period is good enough for you to know if the product is useful. As a developer you can effortlessly test your games and apps on this emulator immediately without any hiccups. The apps on it are built on HTML 5 hybrid fundamental app model via the PhoneGap or Cordova open source structure. The best part is that using MobiOne you can create fundamental iOS apps quite easily that can be used anywhere with any device that it works with. There’s a lot more that you can do with this emulator such as, branding apps with self-designed icons, share app and webapp links through email, create status alerts on desktop, get a peek of your app status using the AppCenter Progress View, adjust your app in a way so that it works in iPhone and iPad and download the app installation file on its own as soon as the project is completed. MobiOne Studio is a simple app that can be used by even the beginners to develop an iOS app and works just perfect for those who nurture the passion for developing good mobile apps. If you are yearning to get access to those amazing iPhone games and apps on your Windows PC, iPhone Simulator can be the right choice for you. It is one of the iOS emulators in the category and does exactly what you want. Test apps that are still in the nascent stage using this iOS emulator and keep a track of any major concerns related to it. What Does iPhone Simulator Offer? 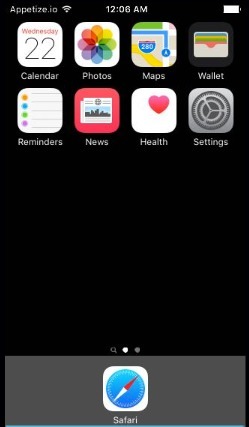 iPhone is an expensive phone and is not a cup of tea for everyone, so those of you can’t afford an iPhone , this emulator can create a virtual iPhone on your desktop in minutes. You won’t miss the real phone when you see its brilliant interface, graphics that are of superior quality and that exactly resembles the real iPhone. However, you may be disappointed with the fact that it does not give you access to certain iPhone apps including the App Store which is a major let down. The emulator works on flash and allows you access to some of the default apps like, notepad, clock, calculator and iOS system preferences. You can even change the wallpaper. It more resembles the third generation of iPhone, so it’s great for those who just want to get the feel of a real iPhone and nothing beyond that. Now, that couldn’t be more easier as the iPad Simulator is available as a Google Chrome extension. It functions as a cloud operating system and also as a simulator in the Google Chrome browser. As the name suggests, using this extension you can get an iPad screen on your computer desktop. What Does iPad Simulator Offer? Once you have got the simulator, you can then send messages to your buddies using the iMessage app of the iPad. You will love the iPad Simulator when you see the reply messages in form of notifications within the extension, which is by far its best feature. So, if you missed the iPad just because of its steep pricing, iPad Simulator can give you the closest feel of the iPad at no cost. There’s a big list of features that the simulator offers without the real iPad such as, access to Siri, creating unlimited app pages, HD animated wallpapers, access to everything on the cloud, drag-and-drop apps facility, arranging your cloud interface with your chosen iPad apps, easily track apps using the browse and search page, start and sync the simulator using the web service in just one simple click, straightforward and classy iPad interface, access to screensavers and multitasking. With so much on your platter without the real and expensive iPad, you would definitely want to get it today, isn’t it? App.io is one of the straightforward apps that’s easy to navigate. You simply need to sync your iOS app pack with the App.io and then you can easily stream your apps via the App.io to any of your cloud storage device from Windows PC, Mac, Tablet, to Android. It works best with Android mobile phones as you do not need to configure any hardware additionally as the apps downloaded via the cloud. App.io gives you the feel and the appearance of an Apple device for free along with the identical looking, keyboard, menus and more. If you are running a business, add your potential customers in your app instantly, using this application with no download or any fuss. That’s not all as now you can quickly and safely share apps with your external and internal teams irrespective of the platform. The apps set up on App.io work flawlessly so have fun emulating iOS apps. I found IPADIAN to be one of the worst. It hardly emulates anything. On the top of it when one tries to install games for kids, it asks to buy PRO. Redirects to GameCenter which after buying delivers NOX App player. the NOX app player is not only free but is android emulator and works on windows only. This is total cheating and fraud. How do I download the app? Thanks. iPadian is really the worst emulator. Actually it does not emulate anything, it is built with Adobe AIR so it only runs web applications. Moreover the App store (the stock Apple store) redirects to a game centre where they are prompting me to buy an Android emulator. Also the free apps app( they say that from there I can download the apps which can run on ipadian) has an error in its coding(WTF, how can they release a product without even debugging it) and so it would would not open, and so I could not download any apps on my ipadian. So this product is really a piece of crap, please don’t go for it. iPadian is hopeless. Do not waste your money like I did.